We are here with Rachel Hannah from Toronto, Ontario. Currently we’re sitting at Guelph Lake, which is one of the training grounds where Rachel does a lot of her running. 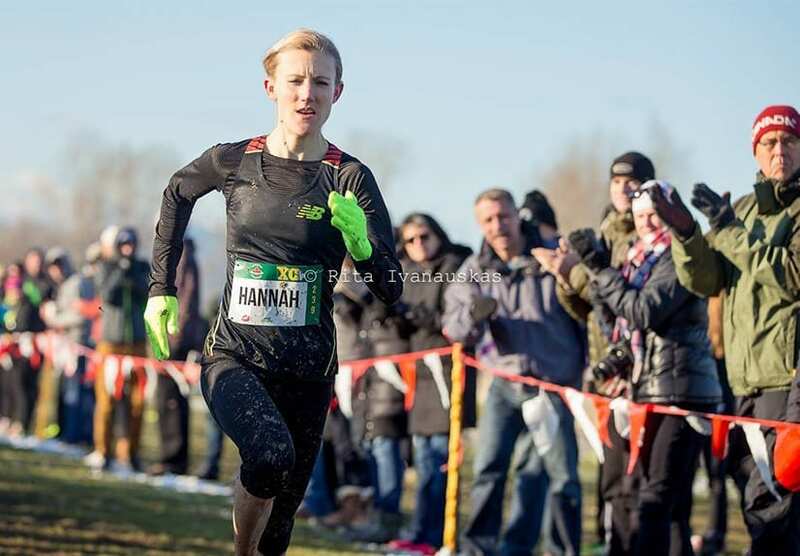 Rachel is seven time National Team member, representing Canada in cross country running, road racing, and track and field. She’s a four time Canadian champion in each of those disciplines. In 2015, Rachel was a bronze medalist in the Pan Am games marathon on the Toronto lake shore. Her personal bests in the marathon are 232.09, half marathon 112.25, 10000 meter 32.36. And not only is Rachel an elite marathon runner, but she is also a registered dietitian at Medcan, which is based in Toronto and is a globally recognized health, wellness, and performance company. So here today, Rachel, we’re talking about Eload. How did you discover Eload? I discovered Eload about over a year ago when I was looking for a quality fuel and hydration source for my long runs. I first heard about it, actually, from Krista DuChene, who currently uses Eload. Coming from one of Canada’s top marathoners and soon to be Olympian, I trusted her advice. So what I did is I started to use Eload during my long runs, and when I first started using it I noticed an immediate difference in terms of my energy levels on that run, so I started to train with it knowing that I was going to be competing in a marathon and needing that hydration and fuel during. So I practiced religiously with it during my long runs, in my workouts, and I noticed a direct positive impact from it, so I decided to use it during my marathon. That was in May 2015. That was your first marathon, your debut. You use Eload in both training and racing. First, when do you use Eload in training? In training, typically during my long runs I’ll use anywhere from one to two packages of the Endurance Formula during my long runs that are over 90 minutes in duration. I will also use one of the Energy Gels during these runs as well. And then actually during a marathon, a lot of people out there are wondering what they should take, how much they should take, when they should take it. What do you use for Eload product during the race, during the marathon? During the marathon, and we’re pretty fortunate that we get to make our bottles ahead of time, so what I do is I take in one package, so this is one 500 milliliter amount. What I’ll do is I’ll space that out every five kilometers in the race. I’ll start at 10 kilometers at that aid station, and I’ll aim to take in about 300 milliliters of it. That’ll be spaced out every five kilometers throughout the marathon, and I aim to take an Energy Gel after about 20 to 21 kilometers in, and then about 30 kilometers, so two gels in total during the marathon. That equals about … I’ve done some of the calculations, but that’s around 50 to 55 grams of total carbohydrates per hour throughout the event. And then on the day before the marathon, what is your target calorie intake? The day before, I aim to take in approximately 3000 calories, and I pay attention to where the calories are coming from, so definitely at least 60% coming from carbohydrates. And then when you discovered Eload, what were some of the initial factors that you felt benefit, as far as GI and carbohydrate intake? What I found when I first started using Eload, well, the main thing was that I didn’t have any issues tolerating it. I was able to drink it, I enjoyed the taste, it’s got a little bit of a sweetness but just enough so that it makes it really enjoyable to drink while running, because that’s something that takes a lot of getting used to, to be comfortable doing that. That was the main thing. No issues with digestion, or GI distress, and immediate energy, right? It’s giving you carbohydrates that you need, you’re absorbing it well so you notice that your energy levels improve, and your focus and concentration. I can start to be diminished when you’re running for long durations and it’s intense, so those were the main benefits that I notice right away from using Eload. We know there’s carbs in Eload products. How much carbs per hour should a runner be aiming for? There aren’t too many studies that measure this directly to show what is the ideal amount. There are some ranges though, definitely, that are set so this is anywhere from about 40 to 75 grams of carbohydrates per hour for prolonged exercise, at least 90 minutes or more. What I found, as I mentioned earlier, about 50 to 55 grams seems to be pretty good and what I’m able to tolerate, and it maintains a good energy level for myself. It’s all trial and error, it depends on the individual, so definitely there’s a need for personalized nutrition when it comes to sports nutrition. I know the sports nutrition industry is very focused on what products are made of, factors that are necessary or unnecessary. What is unique about how Eload is made, and it helps you recover faster? Eload, and I’ll refer to the two products that I use, so the Endurance Formula is really great and the fact that it contains two different types of carbohydrates, it contains dextrose and sucrose. It’s been shown that different multiple sources of carbohydrates are actually really beneficial in terms of digestion, just the rate that you can actually synthesize at one time because you want that energy to be available for your muscles, so it increases the time that it’s actually moving through your GI tract when there’s multiple different forms. That’s the main benefit, and also just the glycemic nature of dextrose. It’s a high glycemic carbohydrate so you get instant energy from that. That’s one unique thing. That’s just talking about the carbohydrates, which are the main fuel source for our body. Sodium is another thing to look at. We lose sodium and potassium through our sweat, so you need to replace that. The approximate rate that you’re actually losing it, so this formula uses about a 4:1 ratio of that sodium to potassium, which actually helps with heat stress associated with. Another big benefit to using the Energy Gel is also the multi dextrin, so it’s a non-resistant starch, which actually helps with absorption. As I was describing, the known GI issues when I’m using it, that’s one of the factors there, is just the nature of where the carbs are coming from, from the Energy Gel. Excellent. If you don’t mind just holding up the Endurance Formula and the gel, just right, again. What are your favorite flavors? I love the strawberry. It’s very tasty, and also the pineapple is quite good, and the green apple. That’s a really nice flavor as well in the Energy Gel. That’s the flavors that Rachel Hannah uses when she runs the fastest marathon in Canada so far this year, year to date. What does it mean to you to represent a company like Eload? I’m really proud and fortunate to be able to represent Eload. It’s a company that started in Toronto, so that’s quite unique and special, and also being able to represent a company that’s based on scientific background, on research, and it’s been proven to be really beneficial for athletes. That’s also why I’m happy to represent it. … and all you use, and we wish you well in your fall season as you target some of the world majors in the marathon. Thank you. Eload is committed to bringing the best electrolyte supplements for runners, whether they’re amateurs or professionals. With an amazing array of products dedicated to fulfilling post-race recovery needs, hydration, and fuel, the company’s focus is on keeping athletes healthy for every challenge.